Who is up for savouring a barbecue dinner in this massive terrace with Sea and Mountain View? The building is in a very quiet residential neighbourhood with plenty of trees around. Nearby access to the beautiful coastal walking path “Camí de Ronda” that extends several Km on both directions. The apartment is on the top floor. 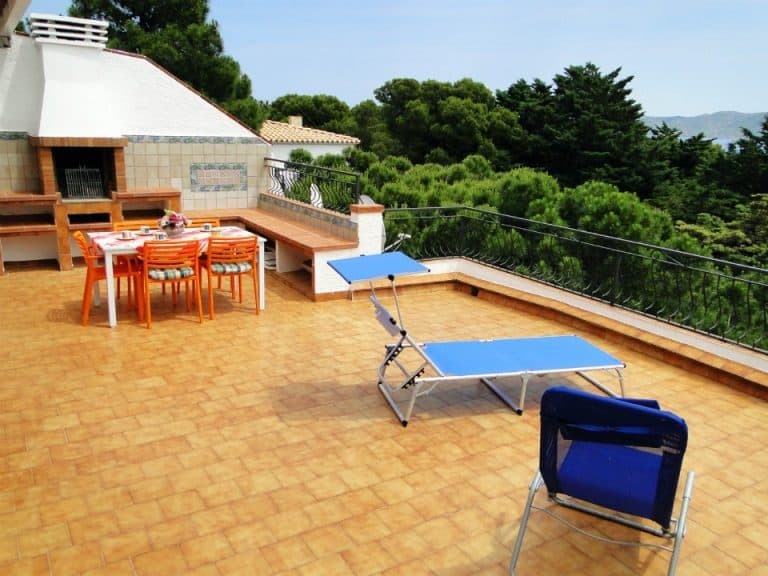 Amazing views of Sea, Mountain and Port de la Selva from the intimate extra-large terrace with barbecue. Located on a building oriented to the south, surrounded by a garden with pines and composed of a ground floor, first floor and top floor. Only nine neighbours in total and most of them live abroad. A private parking place for one car is located just in front of the building, marked with the same number as the apartment, Nr. 9. Apartment Atic Carboneres is on the top floor, with stairs to the entrance on the backside of the building. It is a cosy and comfortable 66 m2 apartment with a capacity for 5 people, but best suited for 4 to be fully comfortable. Main bedroom with a double size bed, full wardrobe and access to the terrace. Second bedroom with two single beds and a wardrobe. Comfortable mattresses to have a good rest. There is a fifth sleeping place opening a sofa-bed in the living room. All rooms are large and bright, with natural light and independent air conditioning and heating units, and are well equipped to offer maximum convenience. Full bathroom with an elegant and practical walk-in shower cabin. The washing machine is in a separate small broom closet. Tastefully designed, fully-equipped kitchen with oven, fridge-freezer, coffee maker, toaster, microwave and dishwasher. Large piece combining living room and dining room, with panoramic sliding windows and access to the terrace. A dining area with a table and 5 chairs, and cupboards with all kind of plates and glasses. The living area has a decorative fireplace and two sofas, a TV with Pal/Secam and satellite dish. 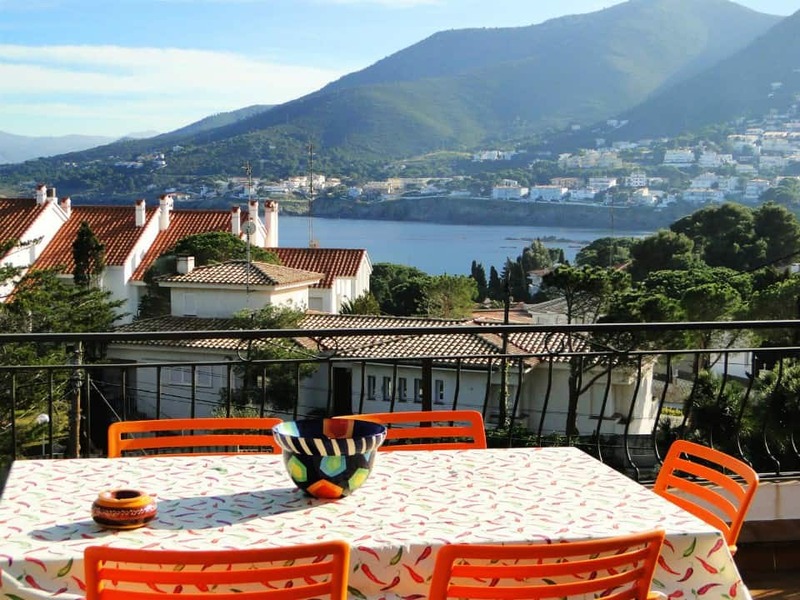 It has an intimate roof-top 50 m2 massive terrace with a postcard view of Sea and Mountains. On the terrace, there is a stone-built barbecue. With a garden table and chairs, a couple of sunbeds and a sunshade. Both the interior and the exterior of the apartment are taken care of down to the last detail so that you do not miss anything. The walls combine soft pastel colours, optimize space, reflect natural light and give it a pleasant atmosphere of peace and tranquillity. Feel at home finding everything you need. We are confident you will love staying in this sunny apartment with its enormous terrace for your holidays. Atic Carboneres is located in a privileged headland area with Sea at South, North and East. The building is in a very quiet residential neighbourhood with plenty of trees around. In the Port area, there are a few places that are great for small children such as playgrounds (also one on the Platja del Port Beach) and an attraction park with a barbecue restaurant. When it comes to going to the beach, this apartment is perfectly situated. You will have a choice of 7 different nearby beaches within a radius of 500 meters. The closest one, Carboneres Beach at 180 meters, is one of our favourites to practice snorkelling or free diving. Don’t expect fine sand on that beach though, if you are looking for fine sand some other beaches would suit better your taste. 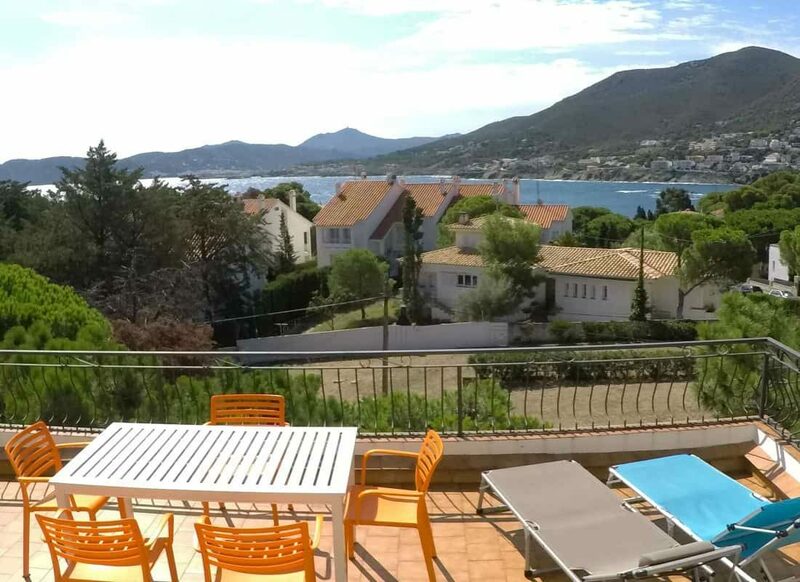 You can take a left and will get to the port in no time via a very scenic path along the coastline, or take a right direction Port de la Selva, which is approximately 7-8 kilometres away. We regularly take a walk along “Camí de Ronda” till the next town and we never get tired of it. Along the way, you can find a large number of beaches, coves and different accesses from the rocky formations to the sea. It is frankly an ideal place to spend your holidays if you are looking for comfort, calmness, convenience, inspiring views, a large sunny terrace or a nice environment to practice any sport. (3) After 300 meters you will find a slight left exit from the road. Take it and continue on street “Cap de Creus” for 150 meters. Turn left to “Avinguda Carboneres”. Take then the third street left “Jaume I” up till the end, then turn right. The second building ·Edificio Castelares 1” is your destination. Park the car in front of the building on place Nr. 9, which is the private parking place for the apartment. The price includes 30kWh/week of electricity usage, which is the normal consumption of an average family. Because we had cases in the past where our guests made an irresponsible use of air condition (such as leaving it on during the whole day with open windows) we started asking for a deposit of 20€/week at the beginning of the stay. At the end of the stay we read the consumption, and in case the 30kWh/week which are included are exceeded, we charge the difference at a rate of 0.39€/kWh. You can decide whether you would like to use the air conditioner or not at the moment you enter the apartment.